Thanks again to everyone who contributed to last week’s “After Staff” series on RESOLVE. That includes everyone who commented, asked a question, or emailed us with feedback. I was excited to hear that people had not only learned a lot, but also felt less isolated after reading about so many former staffers’ experiences — many even got in touch with people featured in the series and started up offline conversations. We hope these conversations continue and that “After Staff” and RESOLVE will continue to be a place you come to for community as well as resources. If you’d like to look back at any content from last week, a permanent page with links is here. 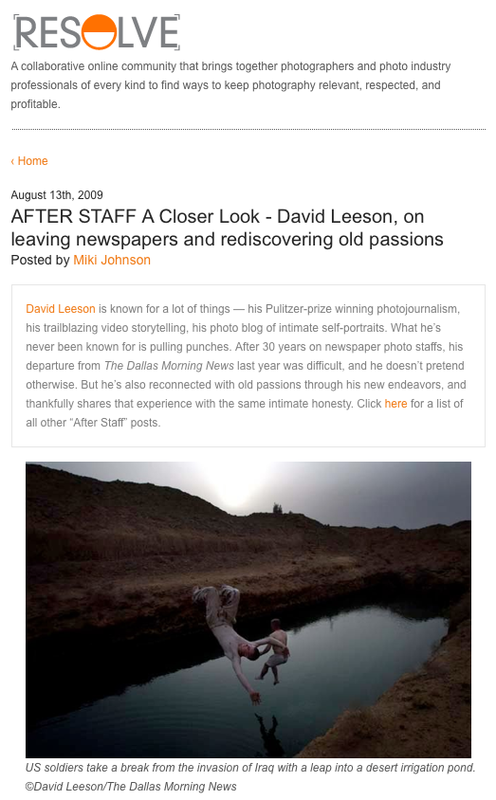 A few highlights from later in the week included very personal insights from David Leeson, his first public comments about leaving the Dallas Morning News last year, and a no-holds-barred interview with the inimitable Bill Owens. This was a truly great series!! There’s a lot of great blogs out there but few hit it as consistently as you guys did last week! Great job and I look forward to what’s to come.